A manufacturing partnership with IDS can help improve your time to market, cost competitiveness, and profitability. IDS are best know as a producer of custom designed and manufactured LCD based systems, but we have also been in the high quality, low cost, highly integrated assemblies and turnkey products for many customers in the UK. Many of our customers prefer to use our manufacturing equipment, process and expertise rather than spending the time and money developing them in-house. Chip-on-board, surface mount, and through-hole technologies have been our core competencies from the very beginning. TAB packaging have been added recently to further expand our offerings. Manufacturing – IDS and its partners can quickly and cost effectively bring your product to market. Products combining chip-on-board, surface mount and through-hole assembly techniques are manufactured in our facilities in Asia. Our facilities are capable of handling tens of thousands of units per week, and flexible enough to handle hundreds of units a week In addition to advanced assembly techniques, turnkey manufacturing capabilities include plastic injection moulded plastics and liquid crystal display production. Continuous improvement programs are in place for process capability and yield improvement. Testing – Testing is crucial to your product. IDS and its partners can test your product at all stages of production. Test processes include functional, thermal cycling, environmental, reliability and final test. Materials – IDS and its partners material handling systems allows us to keep our costs low. Our partnerships with leading component suppliers ensure low material costs and short lead times. Critical components for your application are warehoused to guarantee availability when you need them. Supplier quality and control programs are in place to ensure the best materials, quality, pricing and delivery. 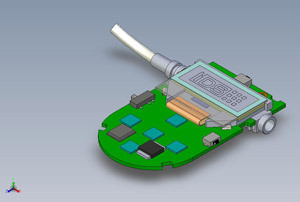 Design – IDS offers pre-production consulting regarding the manufacturability of your design. We also offer sample stage design using tools such as auto-cad.